So the food highlight of the week was salmon!!! 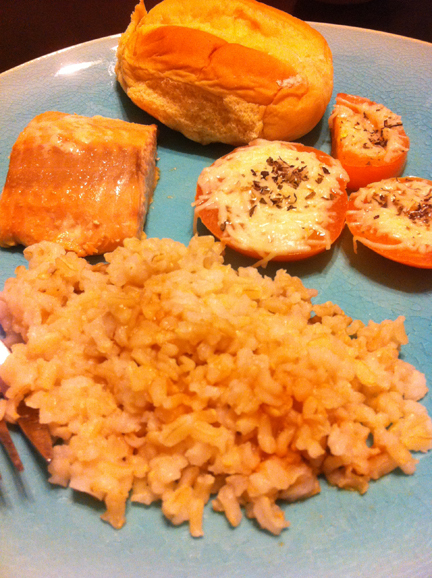 So ya, potato rolls, baked tomato slices with parmessan on top, brown rice with soy sauce, and salmon baked with freshly squeazed lemon juice on top. I felt very accomplished that none of it burned or was undercooked. Non edible news, kitty has been creeping and loving. 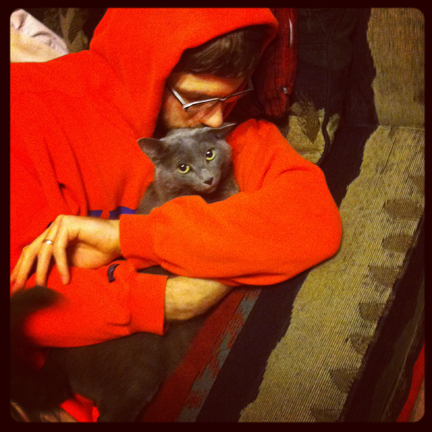 He curled up and had some male bonding time with Nick before the super bowl. 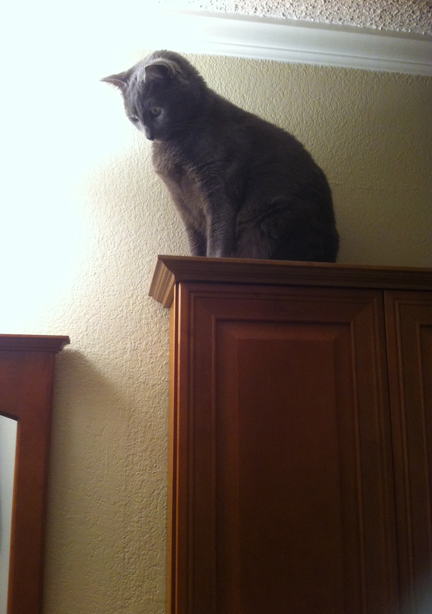 Then, he somehow got on top of the medicine cabinet to be creepy and unsettling in general to who ever wandered into the bathroom. On a side note, I really love creative people who love the same shows I do. I have been collecting fan art and the like that are for valentine’s day. I have valentine designs saved about Lord of the Rings, DC Superheroes, and Sherlock. Here are some poems for your entertainment about … Sherlock (that I found online on Tumblr and did not write at all! Let me know if you know who wrote these).